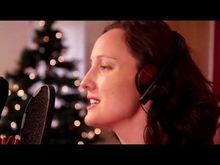 Kate O’Callaghan is a Donegal based singer/ songwriter who combines evocative melodies with intelligent considered lyrics. To date she has recorded & released an EP, debut Album, received National & International Radio Play and toured in Ireland, UK and the US. On Easter Monday 2016 Kate was invited to take part in RTÉ’s ‘Reflecting the Rising’. She performed a sell-out concert in the Four Courts, Dublin and featured in a live broadcast show - ‘A Centenary Special’, presented by Keelin Shanley at the Royal Irish College of Surgeons, which focused on women in 1916 and the women of the Rising.